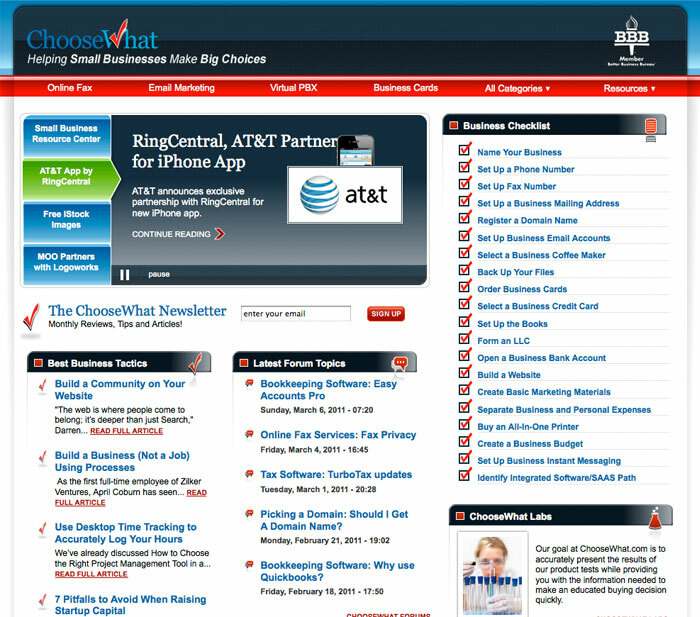 ChooseWhat.com is designed to provide business consumers with practical information about basic, but important, business product categories (e.g. phone systems) and specific comparisons of the vendors. These consumers will be able to rapidly familiarize themselves with the important attributes of the category, view a complete list of vendors, and compare the ones that seem to best meet their needs. Over time, the site will be maintained, so that all the information is current, complete, and robust. Business consumers who use this site will save time and make better purchasing decisions, and vendors who receive business from this site will receive better qualified leads and have a fair portal through which they can market their competitive advantages.